PUNE: Pune customs authorities are waiting for an upward swing in international cargo exports in order to push for cargo imports. With the authorities stating last month that they are stressing on international cargo imports too, sources said that a formal request has been made to the Bureau of Civil Aviation Security (BCAS) by Pune airport authorities. “While the request has been sent to BCAS by AAI officials in Pune, one needs a whole new infrastructure for the same similar to cargo exports. Business, in terms of internal cargo exports, needs to pick up from Pune. As far as customs is concerned, we have given licence to all airlines operating international flights from Pune to carry out cargo exports. The airlines include Air India, Jet and SpiceJet,” an official said. In earlier talks, the authorities had said that cargo import was expected to begin in six months. The Airports Authority of India (AAI), in a meeting with the customs authorities last month, said that it will not have any reservation even if a freight carrier registers itself with the customs to carry cargo. 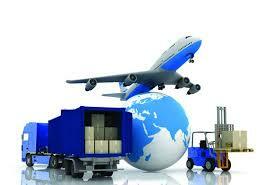 “Diwali time was pretty decent and around 5 to 6 consignments were sent to international destinations. However, this is not enough, we feel. Though consignments have started to come, they are not much. One has to think as to why more consignments are not coming to the export facility despite Pune being a good market for exporting goods like fruits, vegetables, machine parts etc. BCAS will be taking the export business into account before allowing for imports too,” the official added. The export facility started in July this year and the cargo volume was expected to achieve 40,600 tonnes per annum. Aviation expert and analyst Dhairyashil Vandekar said that while the Indian Air Force, which handles the Lohegaon facility, shouldn’t have a problem with imports, the need of the hour was to create confidence among the business community about the facility. “Pune airport already witnesses domestic cargo movements and international cargo export has started too. The goods which come are custom cleared and I don’t see any reason for the IAF to raise an issue with imports. I recently heard that a consignment of custard apples had to be cancelled due to some logistical issues. These things break the confidence of businessmen who have been using Mumbai airport for the same for more than a decade,” Vandekar said.